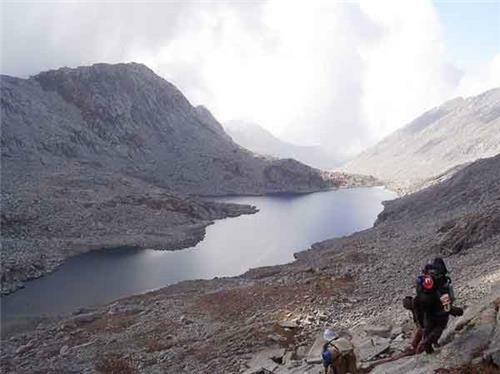 The trek to Bleni Pass (3700 meters) goes from the left of Kareri Lake through a very thick dense forest along sloping ridges below which are deep gorges and ravines. The region is full of wild life. Bleni Pass is at a low altitude and is a easier pass. 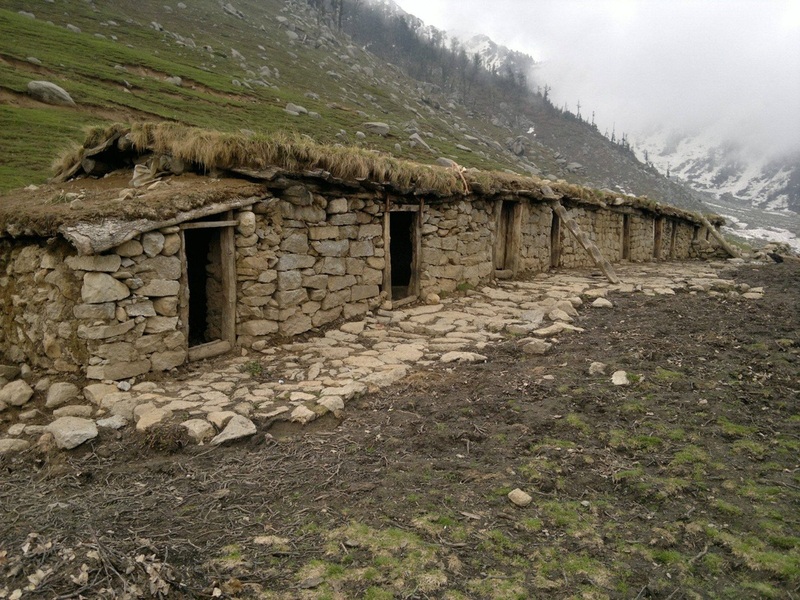 It is frequented mostly by Gujjars and Gaddis from the nearby villages because of extensive pasturelands. Clusters of dense conifers and different kinds of perennial flowers are a rare treat offered by this place. 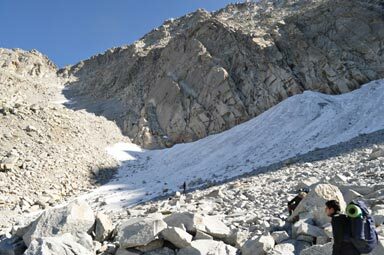 On the way to the pass there is a rock cave built by the Gaddis. Gaddis use this pass to cross over with their sheep into the Bharmour to Kangra and vice versa. The Chamba Valley and the Pir Panjal Range can be seen from this top of the pass. 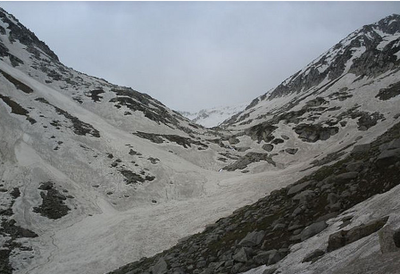 Baleni Pass is one of the low lying passes, and is at the base of the Dhauladhar range. You cross alpine pastures, woods, shimmering streams, and picturesque landscapes. 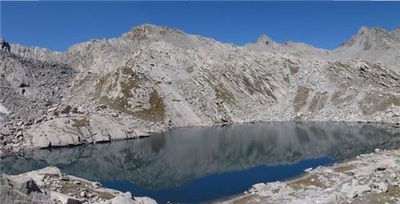 Nowhere else are glacial lakes as plentiful. Infect, its around Baleni that they exist at all. 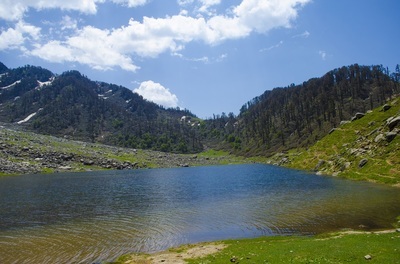 Kareri Lake is on the Kangra side. 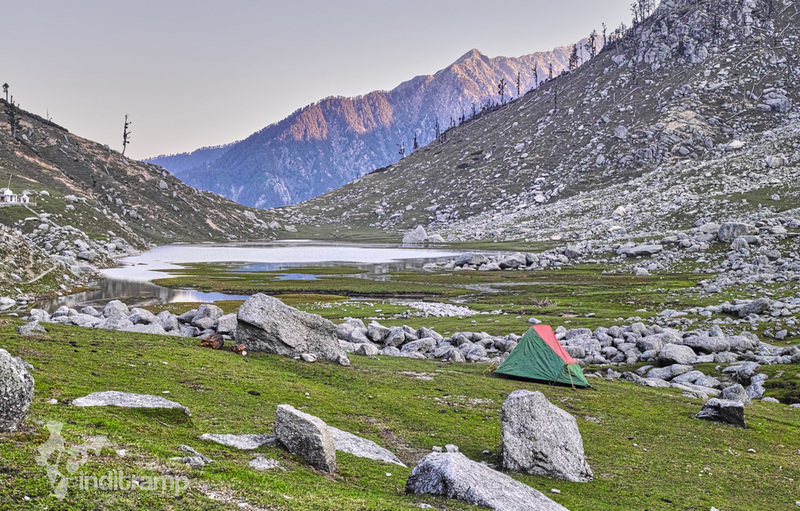 Lam Dal, Nag Dal and Kali Kund on the Chamba side, all within a day's trek from the pass. 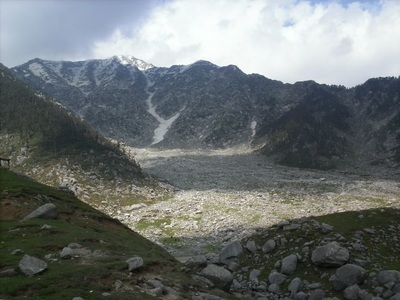 This trekking trail culminates at Dunali on the Chamba road. Early morning we leave for Ghera Village, which will take upto 2 hrs. After rest and refreshments, we will trek to Kareri Village which will take another few hours. 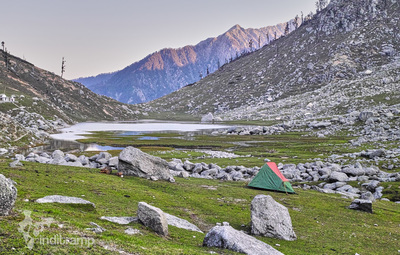 Upon reaching we can either camp at the nice meadow near the stream or check ourselves in the Forest Guest House which is 10 minutes walk from the camping ground or stay at the nearby home stays. Meals and refreshments would be provided by Holidaydada team along with bonfire. Today we do a side excursion to Lamdal Lake which is the biggest lake in the Dhauladhar Mountain Range. The lake is considered a very sacred one as the local Gaddi Tribal People believe that lake is one of the abodes of Lord Shiva. 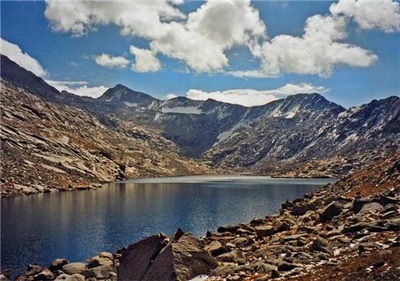 Every year in the month of September locals come to this lake to take the holy dip in the water of the lake. From here we descend down the valley along a stream which comes from the lake. 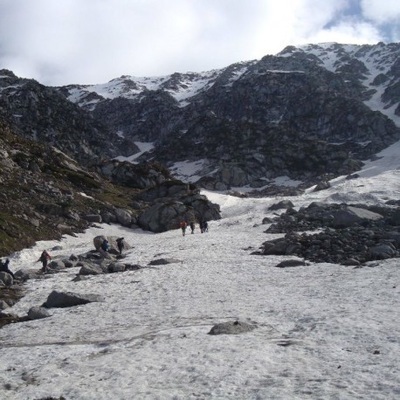 It is a long downhill walk until we reach Drakund. Drakund is a very small village comprising of only 4 or 5 houses. Camp near Forest Rest House for the overnight stay.